Adhesions are fibrous bands of scar tissue. Many occur secondary to previous surgery or intra-abdominal inflammation (particularly pelvic)*, however they can also be congenital. They are one of the main causes of small bowel obstruction, accounting for around 60% of cases, and are also associated with female infertility and chronic pelvic pain. *Meta-analysis data has shown showed the incidence of small bowel obstruction was greatest in lower gastrointestinal surgery and paediatric surgery, and the lowest in upper gastrointestinal surgery and urological surgery. It is important to note that adhesions themselves are generally asymptomatic. Rather, it is the effect of the adhesions that present with clinical features (such as that of obstruction, infertility, or chronic pelvic pain). Much of the work-up required for suspected bowel adhesions is directed to that of the subsequent pathology that has developed. Additionally, the patient should be kept nil-by-mouth, prescribed intravenous fluids, and provided with adequate analgesia. 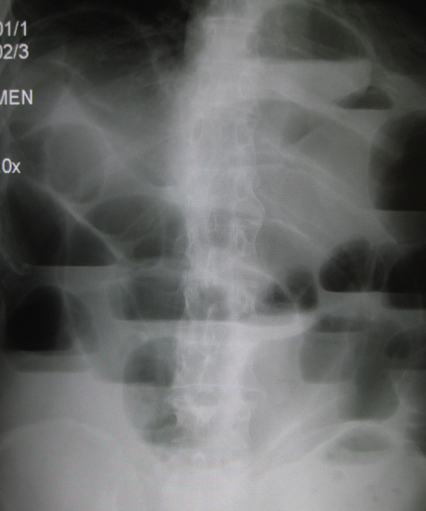 Surgical intervention in adhesional bowel obstruction is warranted* in any patient withclinical features of ischaemia or perforation, or failed conservative treatment. Adhesiolysis should be limited to only the adhesions causing the mechanical obstruction or strangulation, in an aim to reduce risk of recurrent adhesional disease. 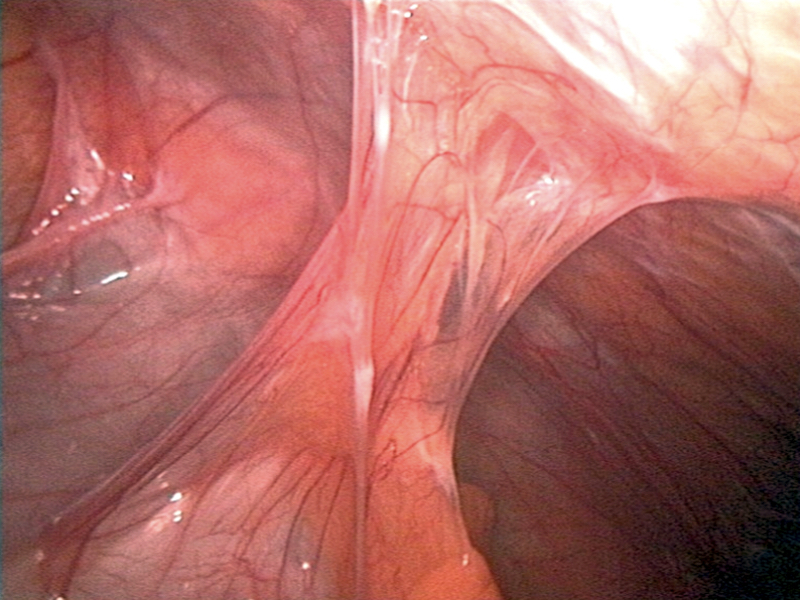 Whilst open management is still performed in many cases, laparoscopic management for bowel adhesions is becoming the mainstay, due to improved post-operative outcomes. Often technically challenging due to the distension of the bowel (and therefore increased risk of iatrogenic injuries to the bowel), consequently there should be a low threshold for conversion to open approach in extensive disease. *In patients that require surgical management, early intervention is preferable, as a recent study found that delay to operation for bowel adhesions had increased rates of post-operative complications, bowel resection, prolonged length of stay, and mortality. There are no devices currently able to totally prevent adhesion formation after abdominal surgery. Correct surgical technical and reducing intraperitoneal organ handling remain the mainstay of reducing bowel adhesion formation. What is the most common feature of patients with adhesions? How should a patient with confirmed uncomplicated adhesional small bowel obstruction be managed initially?